A preeminent artist of her generation, Zoe Leonard asks us to consider the roots of contemporary photographic culture. More than its focus on any particular subject, however, Leonard’s work encourages the viewer to reconsider the act of looking itself, drawing attention to observation as a complex, ongoing process. On view in the East gallery at Hauser & Wirth Los Angeles, the landmark, decade-long project, ‘Analogue’ (1998 – 2009) is comprised of 412 photographs that document the homogenizing effects of globalization. 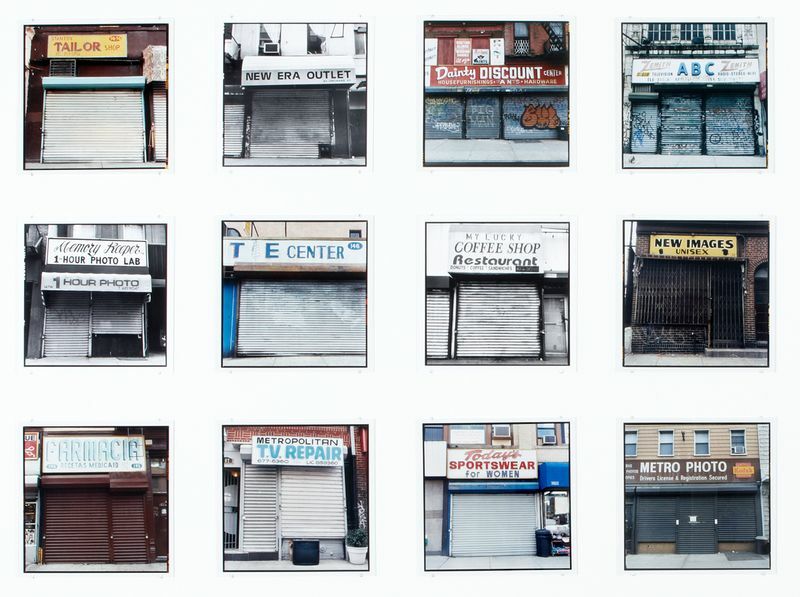 The photographs in this installation depict vanishing storefronts and abandoned objects, which the artist captured using obsolete technology—a vintage 1940s Rolleiflex camera—along with gelatin silver and chromogenic processes.